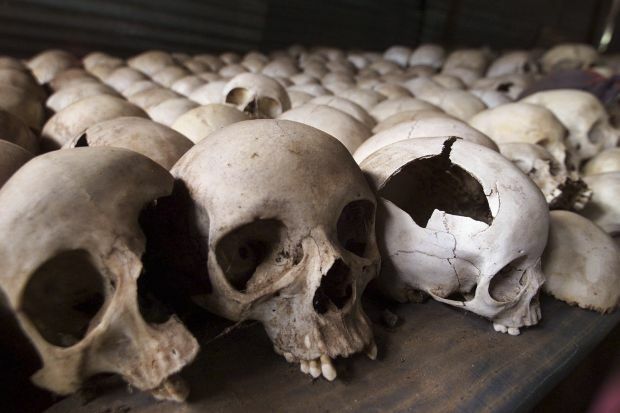 UPDATED – VATICAN CITY (CNS) — Just days before Rwanda was to begin a weeklong period of official mourning to mark the 20th anniversary of its genocide, Pope Francis urged the country’s bishops to be resolute in continuing the work of healing and reconciliation. “The path is long and requires patience, mutual respect and dialogue,” he said. 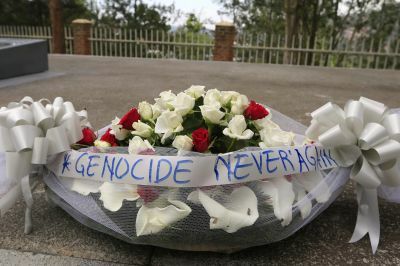 Rwandans began an official week of mourning April 7 to mark the anniversary of the genocide, in which mostly Tutsis and some moderate Hutus, ethnic groups with a history of rivalry, were killed. Some massacres took place in churches; in some cases, entire congregations were murdered. Leaders of various Christian churches, including the Catholic Church, were implicated in the violence because of ties to one or the other ethnic group. “It is important that, overcoming prejudice and ethnic divisions, the church speaks with one voice, demonstrating its unity,” Pope Francis told the bishops. The pope also encouraged Rwanda’s Catholics to entrust themselves to the maternal care of Mary, who appeared to three young Rwandan girls in the 1980s at Kibeho. Reciting the Angelus with a crowd gathered in St. Peter’s Square April 6, Pope Francis asked all Rwandans to continue the reconciliation process. Pope Francis asked those gathered in St. Peter’s Square to pray with him to Our Lady of Kibeho and led the crowd in reciting the Hail Mary for the people of Rwanda.